Expensive, slow and ugly. Hard to see out of and uncomfortable. That’s what I thought when I first drove the Lexus CT 200h hybrid in 2012. 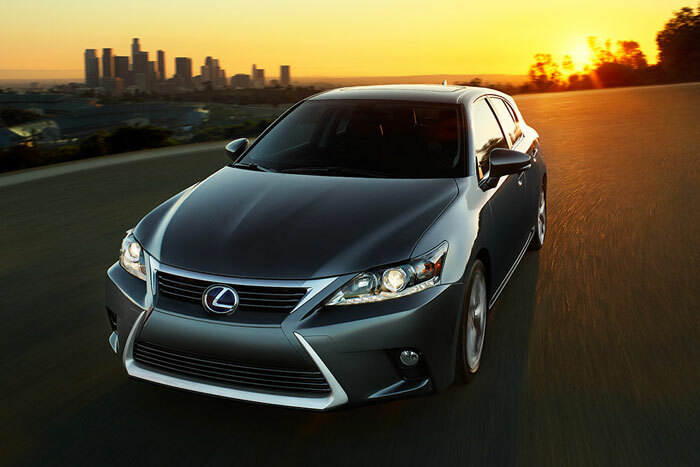 Now, almost three years later, Lexus is getting ready to release an updated version of the CT hybrid for 2015. Will it be a fresh meal or just a stale leftover? 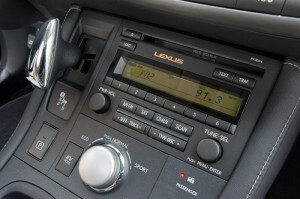 The 2012 CT 200h featured a cheap looking radio that was hard to use. Sadly, for 2015, the base model CT 200 still has the same radio and the same oddly shaped shifter (didn’t I see something similar on Star Trek?). When I first drove the CT 200h I was so unimpressed I didn’t bother to write a review for it (it was one of those cases where the less said the better). Generally I can find something good to say about almost any car (the Nissan cube for example – it has a spacious interior) but the CT made it really difficult, even the radio was bad – it looked cheap and ugly – something you generally don’t find in a car selling for over $30,000. The CT’s other oddly shaped and poorly placed controls didn’t help. All kidding aside there are a few good things about the Lexus CT, the first is that it is a Lexus, meaning it has the support of a fantastic dealership chain. Lexus dealers are typically top rated by J. D. Power Associates. Also, because the car is a Lexus / Toyota it is very reliable, but that is pretty sums up its strong points. The biggest problem with the 2012 CT was that it was thousands more than a comparably equipped Prius yet slower, smaller and somehow managed to get worse mileage. Both cars were hard to see out of but the Lexus seemed worse – maybe it was the low driver’s position but it seemed claustrophobic compared to the longer Prius. But enough about the old version of the CT 200h, what is Lexus planning on for 2015? Turns out, not much. The 2015 CT 200h exterior will be virtually identical to that of the 2014 model. The only external difference Lexus mentions in their news release is the F SPORT model gets a F SPORT badge on the back. That really says it all. The interior refinements are only slightly more dramatic than the exterior update. New for 2015 is the Siri® “Eyes Free” mode. It allows drivers to call contacts , get turn-by-turn navigation through Siri and Apple maps, and select and play music from iTunes®. 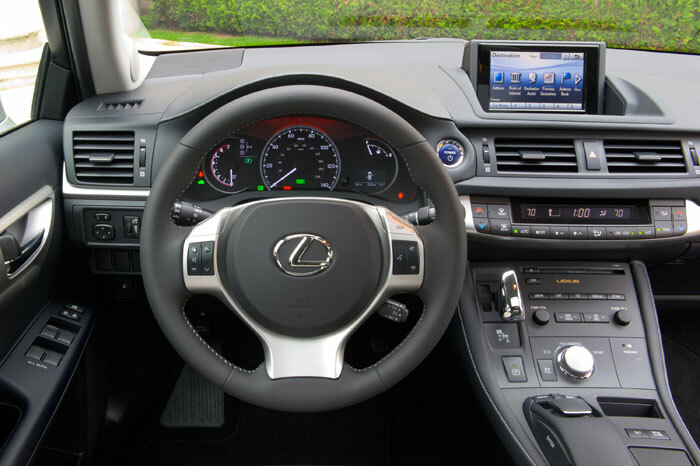 Like the 2014 Prius the Lexus with offer the Entune App Suite but the Lexus will offer an upgraded version that include iHeartRadio 4.0 and adds Slacker for expanded music choices. Both Eyes Free and Entune and nice features but they don’t overcome slow acceleration and poor visibility. Unfortunately the CT retains its ergonomically unfriendly and cluttered dashboard. 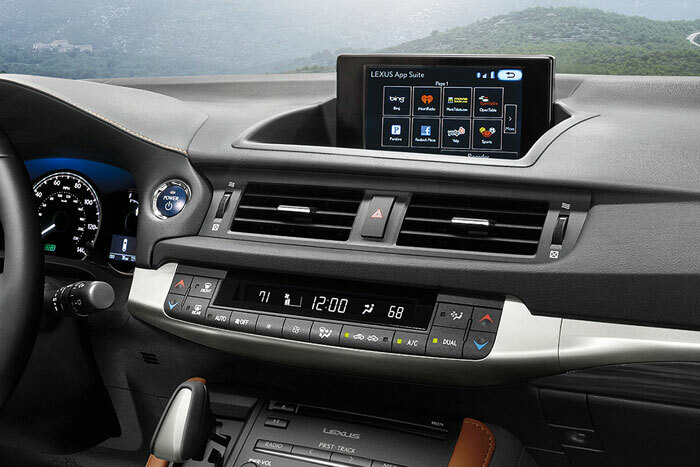 The two-tier center console makes the climate controls easy to use but a CD almost impossible to load (overall the Prius has a much better arrangement). The reality for the CT 200h hybrid is that after only 3 years on the market its age is showing. Built on a modified version of the Matrix platform it got off to a slow start and never caught up. Not only doe the CT 200h still take a back seat to the cheaper but better equipped Prius, it is also out shown by cars like the less costly (but more powerful) Ford Fusion Hybrid and the only slightly more expensive (but more economical) Chevy Volt. Sorry to say but as updates go, this one is like that leftover piece of pizza in the refrigerator, it just doesn’t cut it.